On Friday The Sun reported on the financial position of one of Britain’s most influential trade unions, ‘Unite’. The article was right to point out that Unite’s “General Fund” had £225m in 2007 but only had £13m in it in 2012. The article suggested that the union’s leader, Len McCluskey, had almost bankrupted the Union. But The Sun is wrong. Whilst Conservatives may dislike people like McCluskey, he is not a fool. Since 1997, when Tony Blair came to power, McCluskey and those who came before him have meticulously used Unite’s wealth to support Labour candidates who will do their bidding. They got into trouble in Falkirk, but Unite has taken charge of so many selections now that it is hard to keep track. Readers of Breitbart London will ask themselves the obvious question: what did Unite buy? McCluskey appears to be a marginal figure, with almost no role in policy. One might even describe him as an ‘annoyance’ to Labour. The answer is very simple: the Labour Party created in government, and fight for in opposition, a public sector system that financially props up the unions. This system has funnelled hundreds of millions into union coffers, to the extent that they are financially insulated from the problem of falling membership. Here’s the way it works: if you are a public sector worker and join a union you will understandably be asked for a membership fee. You will be led to believe that this fee pays for all the workplace representation that you need. But it doesn’t. The way public sector unions really work is this: they make members money and the local shop steward – who represents them in disputes with their employer – is paid for by the taxpayer. These people are called ‘Pilgrims’ in honour of “Nurse” Jane Pilgrim, who was paid £45,000 a year by St George’s Hospital to do nothing more than be a full time union representative. Fees that historically paid for representation are now being pocketed by the unions, and the taxpayer picks up the bill. Research by the Tax Payers’ Alliance suggests there are nearly 2500 union representatives paid for by the taxpayer at a cost of around £85m a year. 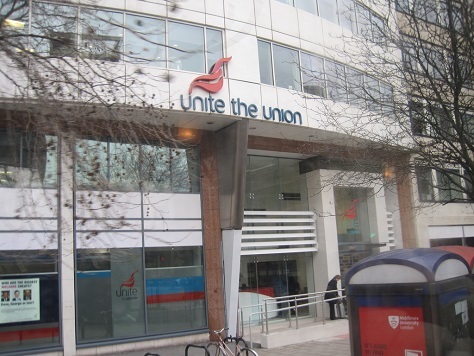 So why would Unite want a big cash surplus? It is in their interest to funnel the money into Labour candidates who will support this arrangement. Any accountant will tell you that cash in the bank is not worth as much as an investment in a high income scheme, and for the trades unions this arrangement is hugely profitable. The government is now looking at these subsidies but Unite’s friends in Parliament are fighting back. As long as we talk about Unite’s bank balance, we miss the point. The real questions are these: how much influence did they buy with that money? And when will the public subsidies end?